 Looking for a mortgage loan? We'd be thrilled to talk about our many mortgage solutions! Give us a call today at 8174318618. Want to get started? Apply Here. What's better than getting a bunch of new furnishings to adorn your future home? Nothing. However, purchasing big-ticket items prior to closing could be trouble. It's wise to remember that until you get the keys, your lender is watching you very closely. Here are some actions to refrain from during the home buying process to be sure your transaction goes smoothly. Don't empty your wallet on big-ticket items You may be tempted to buy that new couch for the soon-to-be-yours den, but it's best to avoid making big ticket purchases like furniture, appliances, electronic equipment, or cars until your home loan closes. Using credit cards to buy furniture could jeopardize your lending process by distorting your numbers. Because lending institutions are perusing your financial accounts, a large cash purchase is also not advised. Don't look for a new career Lending Institutions like to see a consistent career history on your paperwork. Finding a new career (especially one with a better salary) may not change your ability to qualify for a mortgage loan. But in some cases, changing jobs during the mortgage loan approval process might raise concern and stymie your application. Don't move cash around or change banks. Bank statements from the last two or three months for your accounts (checking, savings, money market, and others) will probably be analyzed as the lender makes decisions regarding your mortgage application. To detect potential fraud, most lenders want thorough paperwork to determine the source of all cash. Changing banks or moving funds elsewhere - for whatever purpose - could hinder the documentation of your accounts. Don't give cash directly to your seller (commonly in the case of of "for sale by owner") to be considered earnest money. As a rule, your good faith deposit belongs to you, not the seller up until the deal closes. The good faith money is to be applied to your expenses closing; some FSBO sellers might not understand this. An attorney or other type of neutral party can hold onto your funds, or you may put them temporarily into a trust account until closing. Should your sale fall through, your contract with the seller should specify to whom the good faith deposit should go. HT Lending Group, LLC can walk you through the pitfalls of getting a mortgage. Give us a call: 8174318618.